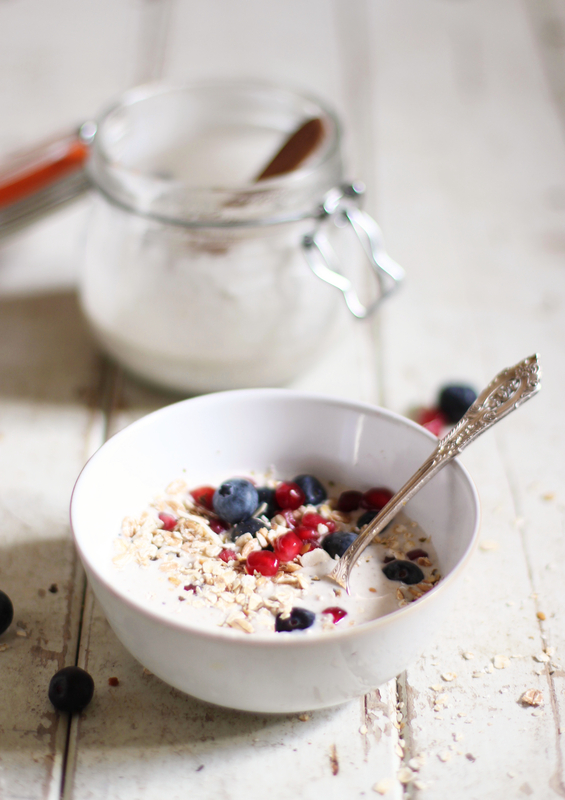 I love coconut yoghurt, it’s so fresh and light and perfect for breakfasts or desserts. If you’ve ever bought it, you’ll know it’s really expensive but making your own is so simple. 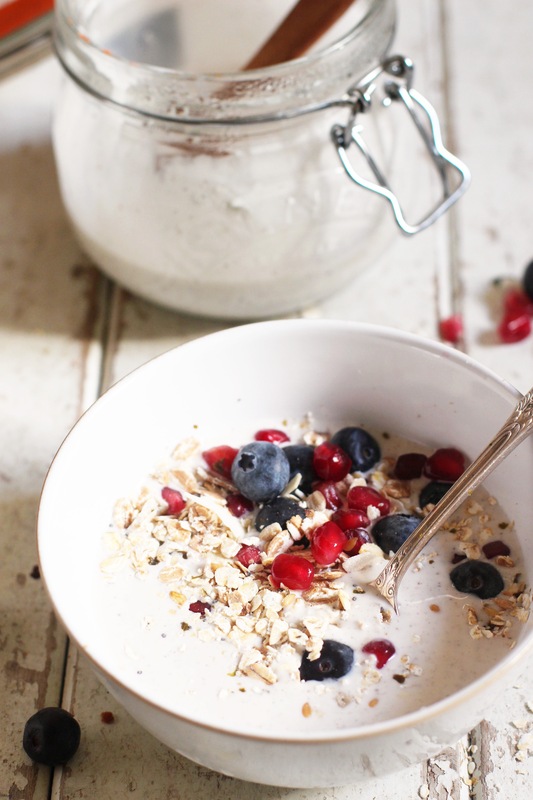 I use coconut cream rather than milk so there’s no need for any thickeners, it won’t be super thick like Greek yoghurt but more of a natural yoghurt type consistency. The vanilla powder makes it beautifully sweet so it tastes amazing with pretty much anything. Your gut will love you for all the probiotic goodness! Preheat the oven to its lowest temperature. Scoop the coconut cream from the top of the tins of coconut milk and add them to a small saucepan on medium heat. Keep the coconut water for something else (smoothies!). Whisk the mixture on medium heat until it starts to simmer. Take it off the heat and let it cool until it’s just cool enough to touch. Add in the maple syrup and vanilla powder and whisk. Open the probiotic capsules, sprinkle in the powder and then stir well. Pour the mixture into a clean jar. Turn off the oven heat and turn on the light to keep it warm. Pop the sealed jar into the warm oven for 12-24 hours without removing it. Chill the yoghurt in the fridge and use within two weeks. Is it possible to make it without adding any sweetener? Can you explain a little more about the part where you turn off oven heat and turn on light?? Thanks can’t believe it seems so simple to make. Could you use some kefir instead of capsules? Where do you buy your probiotic capsules?